Showing results for tags 'snell'. Newport Cup Participants Review Snell My Tour Ball Product Name: Snell My Tour Ball Product Type: Premium Golf Ball Product Website/URL: https://www.snellgolf.com/collections/golf-balls/products/my-tour-ball Cost: Varies Below, twelve members of the 2017 Newport Cup squad will write thorough, in-depth reviews of Snell's "My Tour Ball" (or "MTB"), complete with photos, an occasional video, and a wealth of opinion and information. They're encouraged to be as honest as possible. We'd like to thank the sponsors for the gear, apparel, equipment, and goodies, and we chose them largely because they produce quality products, but they know we value honesty and integrity in reviews as well. Snell VIP Program For $50 annually, you get: 10% OFF ALL Golf Ball Purchases (Including Value Packs) Exclusive Deals 1st Access to Limited Edition Product Invitation to our VIP Facebook Group for inside access to Dean and our team. VIP Players Pack: Personalized Bag Tag, Poker Chips, Snell Golf Tees, VIP discount cards to hand out to friends, and more. Snell VIP Program I signed up, and by clicking either of the links above, I get absolutely nothing. I just modified the utm stuff in the link so they know the traffic came from TST. Remember, there are some pretty juicy rumors about some new balls coming out in 2018, including perhaps even an Optic Yellow MTB… P.S. You can buy up to 50 dozen balls, so while you can't go hog wild, you can buy some for your buddies here and there, for yourself, your dad and brothers as gifts, etc. I first met with and talked about golf with Dean Snell when he was the main man at TaylorMade's moderately lavish TP Red/Black launch event the weekend before the 2006 Masters at Reynolds Plantation (coverage here, here, here, here, and elsewhere on the The Sand Trap .com). Dean had been snagged by TaylorMade after helping Titleist introduce the Pro V1/V1x to the golf world. A little while ago, we solicited questions from you, the members and readers of The Sand Trap .com, and what follows are Dean's responses to the first chunk of those questions. You'll notice that we jump right in to the Q&A. If you'd like to read more about Dean Snell, you can do so here. If you'd like to check out Snell's golf balls, they're right here. And of course, everything else is available at http://snellgolf.com/. One last note: Dean broke up a few of the questions so that he could more clearly answer pieces of them the way he wanted. Aside from editing for spelling/grammar, we've left these changes as is. Now, right into the Q&A… Technology Questions 1) How big of a difference is there between premium golf balls? DEAN: The biggest difference today between premium tour balls is the short game spin and control. Typically, when spin is controlled with mid and short irons, you can prevent the ballooning and problems in the wind… and when you get closer to the green, the thinner urethane covers allow for more short game spin and control. 2) Reducing SKUs seems wise but what percentage of golfers do you think you cover with only two models? Bridgestone has four B330 models but you have just one urethane ball. DEAN: I think two to three models is sufficient for entire market. The tour level players can really tell the difference in performance from one ball to another. some like more, some less spin… some firmer, some softer feel… so maybe two balls at tour level. As for the general public, I think if they choose to play a low compression, low spin ball, then the difference is so small that adding more for them is not worth it… also, when some companies talk about swing speed, I do not think this is worth having 3 SKU to fool consumers into thinking they need this in their game. 3) Bridgestone (and I think Callaway) has come out with tour caliber balls for players who swing under 105mph. Is it possible to design a tour caliber ball for a specific segment of swing speed or is this just mostly a marketing thing? DEAN: The whole swing speed story to me is one of the most over-rated stories in golf. Companies force or teach golfers to play low compression balls so their low swing speed can compress the ball. The problem with this is that low compression balls have the lowest spin in all shots, so they are pushing players to play a ball with no performance at all… and when you need that spin around the green, it's not there… 4) Since the four piece urerthane seems so hot in the ball industry right now, is there any chance that Snell will come out with a four-piece ball? DEAN: Stay tuned… I am working on several types of protos to address performance. I think when there is a performance target, then we adjust to the layers and materials to meet that target… so layers to help in meeting these targets… let it develop… ha ha… 5) How much diminishing returns are there on the number of layers? DEAN: Every time you add a layer, you add cost and some level of new performance. When I did penta (5 layers) it was to address concerns with the tour players on certain shots that they were seeing. So I always recommend that players do 100 yard and in testing, and see what they like in the ball… choose the ball from the short game testing, as this is where they are different. 6) From your perspective, will you follow the market trend and produce a soft golf ball? DEAN: The GET SUM is very low compression, very soft feeling golf ball. The issue in tour balls going too soft is you lose the feel of hitting good solid shots… players think soft means more spin at that level, so we have to balance this in design. 7) And would you describe why the market is "Hot with Soft or Softer" golf balls? DEAN: The soft golf ball market has taken off due to the lower spinning balls means players can be longer in distance. Today, softer balls means lower spinning, whereas in the past tour balls were higher spinning if softer… 8) Given what we now know about the relative importance of the full swing (driving, approach shots) and the short game and putting, does the old concept of fitting yourself for a golf ball by starting at the green and working backward still apply? DEAN: Absolutely… you should really spend a lot of time from 100 yards and in when testing different golf balls. This is where they are different, and where you would be able to see performance differences. If you test here and cannot tell, then buy the cheapest one. 9) Or should more importance be given to how the ball performs off the driver and irons, which are now understood to be the true scoring clubs? DEAN: No chance. Fitting a ball with a driver is a big mistake… you hit one drive, but you have to finish the hole, and play most of your golf around the greens, so choose a ball around the green, not off the tee. They will all go about the same difference off the tee today. 10) Is electronic technology embedded within the golf ball ever going to happen? For instance are we likely to see trackers or sensors anytime soon? I have tested this concept several years ago. Problem is that it is illegal to the rules of golf. The USGA will not allow, as you would have an advantage over someone else who did not have it. 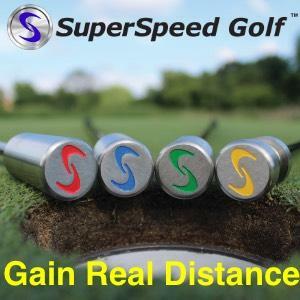 The other problem is that it was super expensive — over $4 per ball to have technology put into the ball — so it added $48 per doz, plus you had to buy the controller to find it… it does not really speed up play unless everyone on the course has it… which will be tough to implement. We look forward to bringing you the additional parts of this Q&A in the coming weeks. Thank you to Dean Snell for taking the time to answer these and the other questions still pending. Again, if you're looking to pay less AND get the best ball on the market today, https://snellgolf.com/. 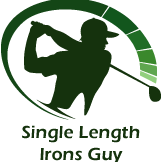 Single Length Irons Guy posted a topic in Balls, Carts/Bags, Apparel, Gear, Etc. Snell Golf and their line of award winning golf balls have been quickly gaining market share of the last two years and today they are bringing SwingXSwing users a special promo! 10% off 2-5 dozen! Don't know about Snell Golf yet? Snell Golf and CEO Dean Snell has one solitary mission: to bring tour caliber golf balls to the amateur golfer at an affordable price. His experience in R&D along with our strategic manufacturing partnership and direct to consumer distribution model allows us to do just that. Learn more... Who is Dean Snell? With more than 28 years in golf ball research and development, 40 U.S. granted patents and a successful background in plastics engineering, Dean Snell is considered to be one of the foremost golf ball authorities. Read more about Dean... Over his career at Titleist and then as the VP of R&D at TaylorMade, Dean is the inventor or Co-Inventor of many of the most well known golf balls EVER! Including the original Titleist Pro-V1, Professional, and HP2 Tour as well as TaylorMade's TP Red & Black, Penta (golf’s first five layer ball), Lethal and the TOUR Preferred lines! Get 10% off your first order of 2 doz. Snell Golf balls! Use discount code: SwingX10 Discount will apply to orders of 2-5 dozen only. *This discount does NOT include value packs, fan packs, or apparel. SHOP NOW Our 6 dozen Value packs! The best deal in golf!